Land Rover has given the Range Rover Velar its international debut at the Geneva Motor Show. The coupe-like SUV will rival the BMW X6 when it goes on sale in late 2017. 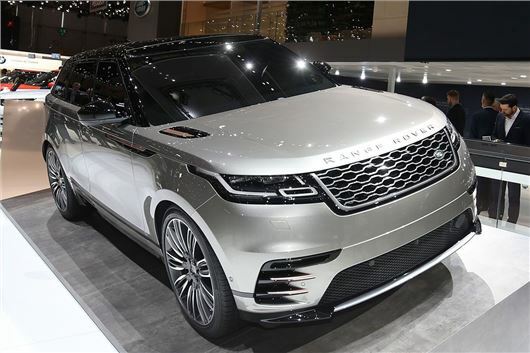 Land Rover hopes the new Range Rover Velar will help it break into the lucrative luxury SUV coupe market, competing with the likes of the Porsche Macan, BMW X6 and Mercedes-Benz GLE coupe. The Velar will be positioned between the Evoque and the Range Rover Sport in Land Rover's line-up and cost in the region of £55,000 when it reaches showrooms in late 2017. The Velar name dates back to the original Range Rover prototypes of the late 1960s. Back then Land Rover was limited to agricultural vehicles for farmers. However, keen to expand sales in the USA, it started work on the Range Rover in 1964. It used the Velar name to disguise the development of the prototypes on public roads between 1967 and 1970. The new Velar will be offered with familiar Land Rover powertrains, including Ingenium four-cylinder diesels, alongside six and eight-cylinder petrols. A supercharged V8 under the high performance SVR banner is also thought to be in the works. Details on specification, launch date and prices are still to be confirmed, but the new Range Rover Velar will take centre stage at the Land Rover stand at the Geneva Motor Show 2017 where more details will be revealed. You can read 10 things you need to know about the Velar by clicking here.